When faced with a problem that feels insurmountable, zoom out. Look at the big picture and solutions abound. Here’s one. Remember the Fairgrounds? Robert Lipscomb’s pet project failed to gain traction and now that he’s gone it’s all but dead. But the funding mechanism he was going to use is not. We could revive the Tourism Development Zone (TDZ) method of keeping the state sales taxes local to pay off city bonds issued to improve infrastructure and spur private investment and build, among other things, a parking garage like the one envisioned by Chooch Pickard and others to serve not only the Memphis Zoo, but Memphis College of Art, the Levitt Shell and all of Overton Park. The long-proposed Eggleston Photography Museum could replace the city’s general services plant occupying on East Parkway, and we could start improving the east side of Overton Park, connecting it to the rest of the park. Now that Ballet Memphis is building a new performance space at Overton Square and Belz has proposed apartments at Union and McLean, where to build a world-class hotel to serve Midtown? How about the eight acres of former Tennessee state land recently purchased on the corner of East Parkway and Sam Cooper? Broad Avenue has been steadily improving for years now, but it needs a major draw to cement its place in the city. Loeb Properties owns virtually the entire north side of the street. With the impending loss of Hollywood Feed as anchor tenant it’s time for a major overhaul. A few ideas percolating include brewery production space, a world-class climbing gym and boutique bowling, not to mention some pretty sweet apartments. Under the steady hand of the Binghampton Development Corporation, the Binghampton neighborhood has been on an uptick lately. Maybe it’s time to create a TIF district similar to the one that spurred development of the Uptown mixed-income development. While we’re at it let’s do something similar at the Fairgrounds, after making the Liberty Bowl compliant with ADA, building some nice playing fields, fixing Tobey Park and doing something really cool in that Coliseum, that is. Granted the TDZ is not really designed to do all this stuff, but there are politicians and lawyers smarter than me out there who I’m sure could figure out a way to use it here. My point is simple: let’s stop bickering about the problems and start focusing on solutions. 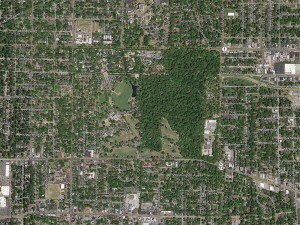 Overton Park and the Zoo are urban treasures. Let’s treat them as such and build a parking garage but not stop there. 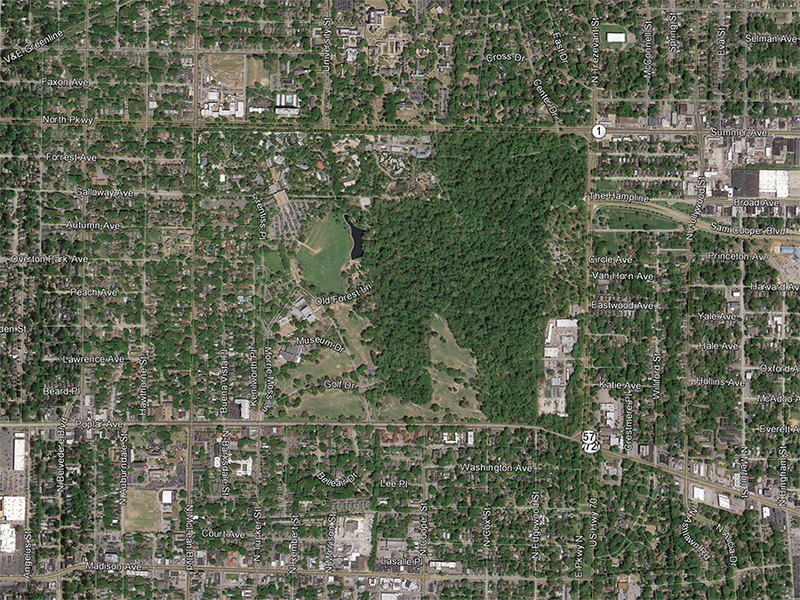 Let’s aim higher and do this thing right — look at Crosstown and Shelby Farms Park for inspiration. We can do this. No Comments to "Think Big"